The Central Bank has said it is "examining" the practice of banks adding their legal fees to the arrears of customers they are suing. It is common for banks to load their legal fees onto the mortgage debt of distressed borrowers and charge interest on those fees, before court proceedings have concluded and costs are awarded. 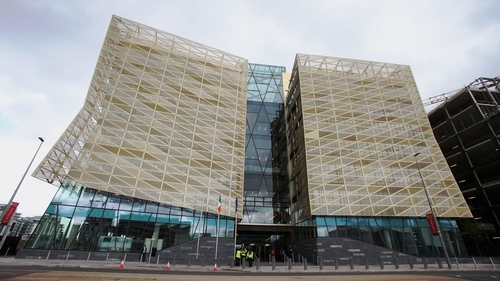 In a statement to RTÉ Investigates, the Central Bank said it "is examining the reported practice of legal fees being added to mortgage arrears to determine if this practice is in compliance with the Code of Conduct on Mortgage Arrears (CCMA), the Consumer Protection Code (CPC) and other regulations". Although the practice is generally allowed for under mortgage agreements signed by the borrower, it appears to contradict the law on Circuit Court costs which states that "the granting or withholding of the costs of any party to any proceeding in the Court shall be in the discretion of the Judge or the County Registrar". Most repossession hearings come before the Circuit Court. "It is wrong," said Yvonne Bogdanovic, coordinator at the Money Advice and Budgeting Service (MABS). "The banks are applying these legal fees before the court has decided what people actually owe and then they are charging interest on the amounts," she said, "when in fact only registrars or the court can decide the matter". "There is a disconnect between what the regulations seem to say and the practice," said Paul Joyce, senior policy analyst with the Free Legal Advice Centres (FLAC). "From a borrower's perspective, adding those fees to the arrears, and interest on those, is akin to pouring oil on a burning man," he said. Given that possession hearings can drag on for years, legal fees can run into thousands of euro. Banks say they cancel the legal fees and interest charged in cases where the courts ultimately order that a bank is liable for costs, but in cases where there is no court order or where a case is struck out the borrower may end up paying their bank's legal fees. KBC Bank told RTÉ that where it brings borrowers to court it charges legal fees "in line with the loan agreement". "Where the court ultimately orders that KBC Bank Ireland is not entitled to these legal costs, they will be reversed off the account along with any associated interest," said a KBC spokesperson. However, the spokesperson added that "in the absence of a court order regarding costs, the treatment of such legal costs incurred by the Bank will be governed by the loan agreement". EBS, which is part of the AIB banking group, also adds legal costs to the mortgage arrears of customers it is suing, while a case progresses. A spokesperson for the lender said "...we abide by rulings of the courts regarding the awarding of costs and each case is considered individually". PTSB said it adds legal fees to accounts, but will only collect in cases "where costs are decided in favour of the bank by the courts". But even if legal charges are ultimately removed from the arrears balance after court proceedings have concluded their presence prior to a court decision can give a misleading impression of a borrower's overall level of indebtedness. "If there were legal costs of €10,000, the arrears would be shown as €10,000 higher plus interest, so it is overstating the arrears amount and overstating the overall balance," said James Quinlan, Money Advisor at MABS. Bank of Ireland said that when it is taking a borrower to court it "does not apply legal fees as they accrue to a borrower's mortgage account." Where costs are awarded in its favour, Bank of Ireland said that they are not applied "until the case is concluded" and that mortgage interest is not charged on any legal fees.